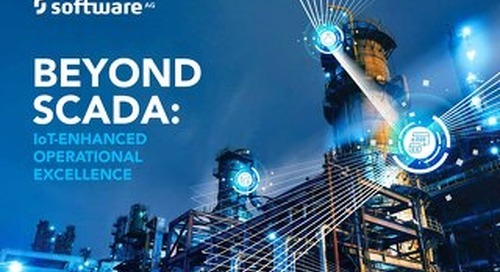 IoT systems facilitate the incorporation of SCADA input, thus extending the value of legacy systems. 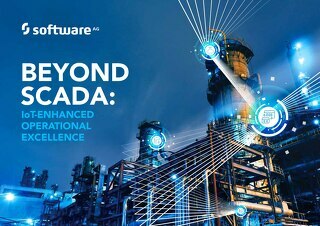 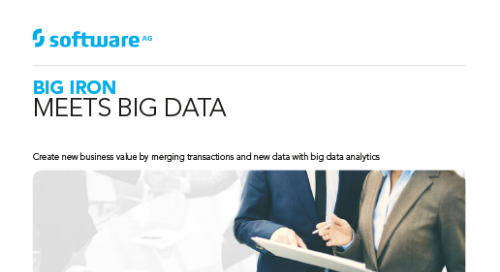 See how Software AG’s Cumulocity IoT can help ramp up your IoT and maximize SCADA systems. 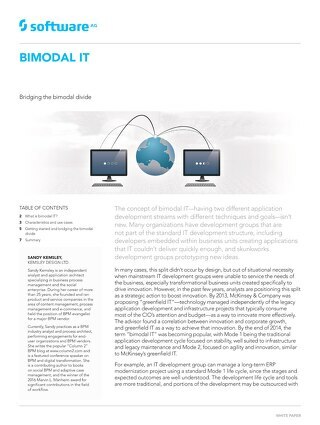 The concept of bimodal IT—having two different application development streams with different techniques and goals—isn’t new. 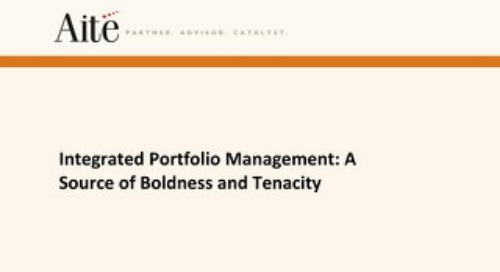 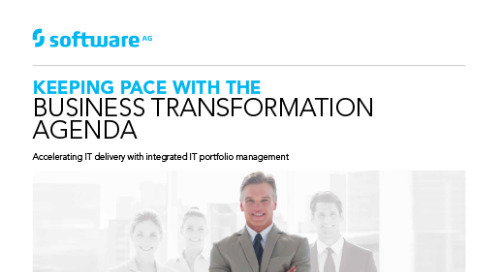 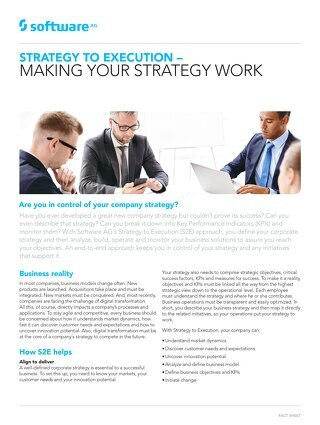 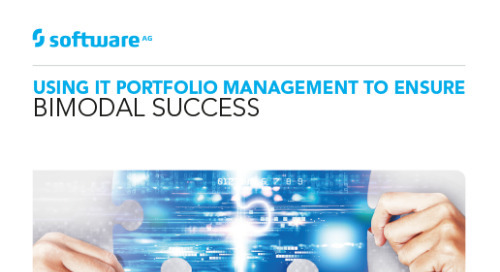 Find out how IT Portfolio Management ensures Bi-Modal success. 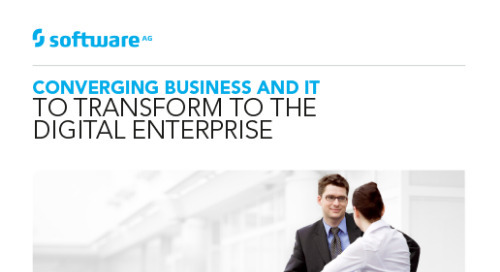 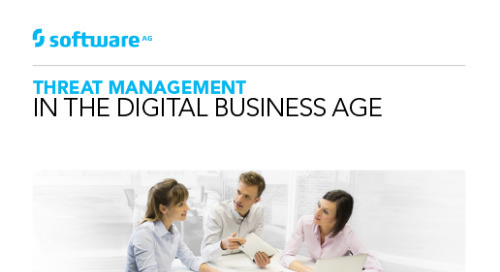 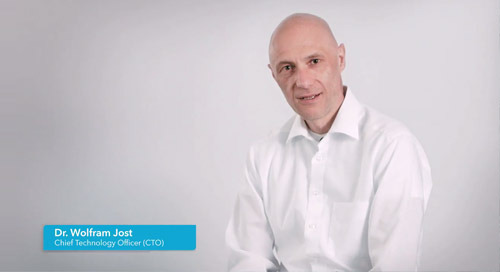 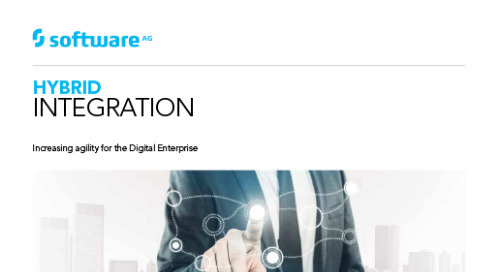 Software AG CTO Dr. Wolfram Jost explains the Digital Business Platform: what it is and how it supports a company’s digital transformation. 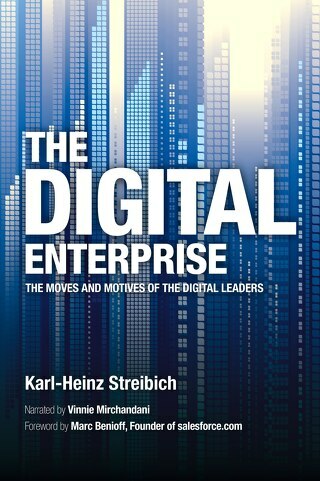 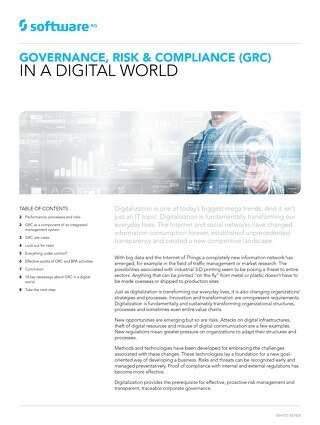 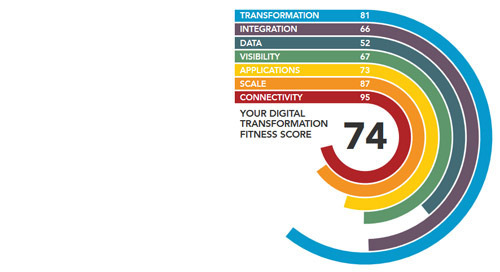 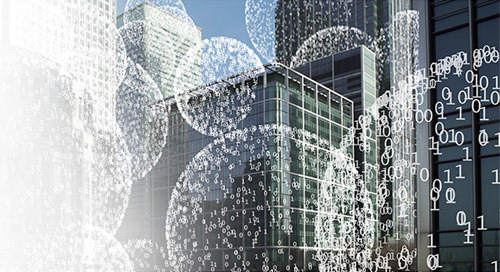 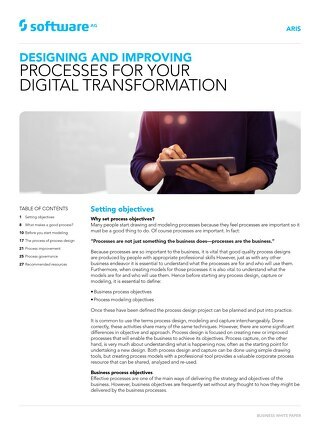 Forrester will reveal how over 200 IT teams around the world prioritize and optimize seven specific disciplines to enable their Digital Transformation strategies.